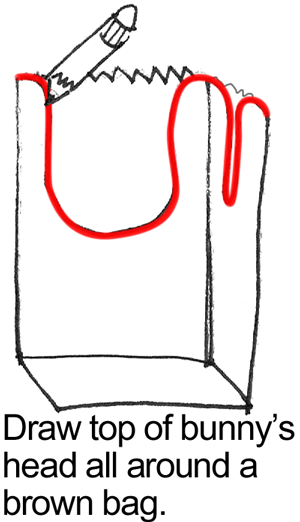 Draw top of bunny’s head all around a brown bag. 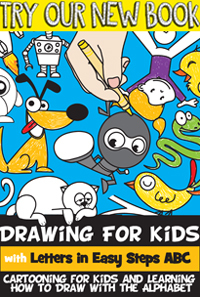 Cut out the top of the bunny heads you just drew. 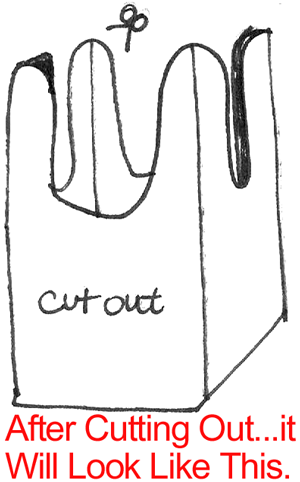 After cutting out it will look like this. 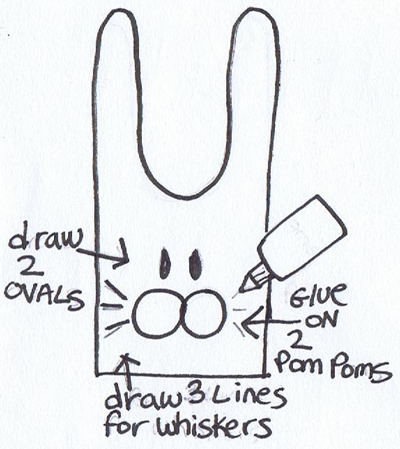 Draw 2 ovals for eyes, draw 3 lines for whiskers and add 2 pom poms where shown. Add treats. 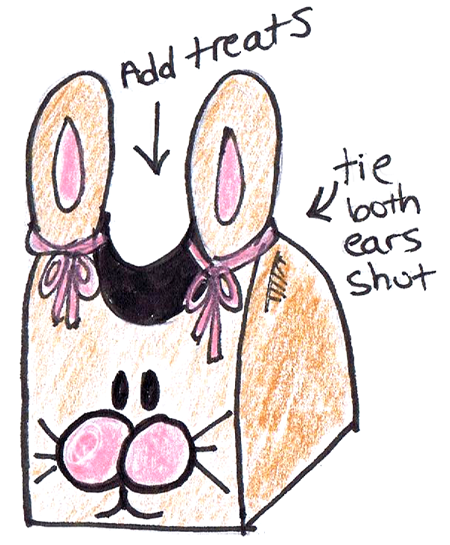 Once you have added the treats tie both ears shut on each side. That’s it!! You just finished your Bunny Rabbit Treat Bags for Easter. 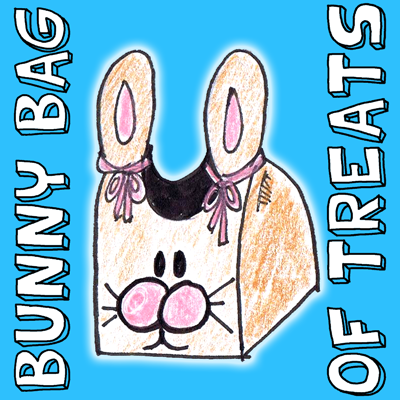 Now, give this Bunny Rabbit Treat Bag to the receiver….. they are sure to love it! !